Do you remember your first introduction to creative colouring and craft as a child? Make your child’s first interaction a memorable one with one of the world’s favourite brands, Crayola. The perfect introduction to a world of Crayola colour is with the My First Crayola range, a collection designed specifically for children as young as twelve months. 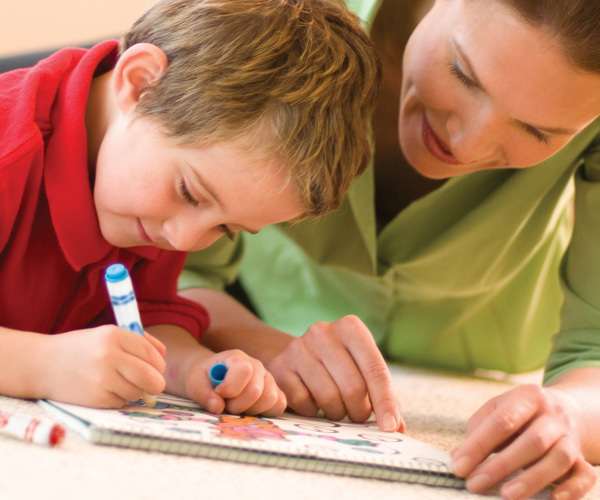 A beautiful way to spend some one-on-one time with young children and familiarise them with stationery while learning how to express themselves through colour and art. 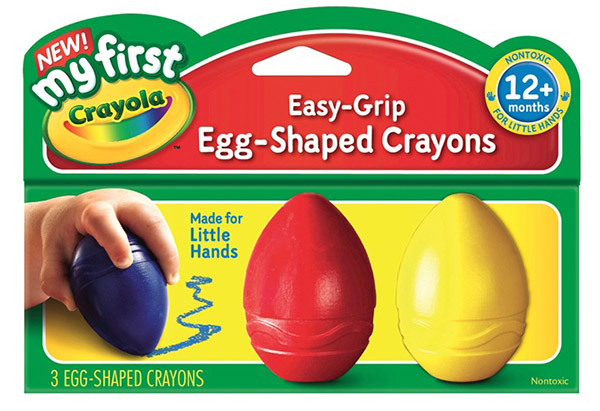 Beginner artisans call for beginner products and My First Crayola Egg-Shaped Crayons fit beautifully in a tiny hand grip, enabling the littlest of budding artists to flex their creative elbow. Not to be deterred by potential misplacement, My First Crayola Washable Markers are exactly that, a washable formula with uncrushable nibs (fantastic), while My First Crayola Washable Easy Grip Crayons are so richly pigmented and beautifully soft that the cause and effect of crayon tip to paper has an instant – and satisfying – payoff for a small child. 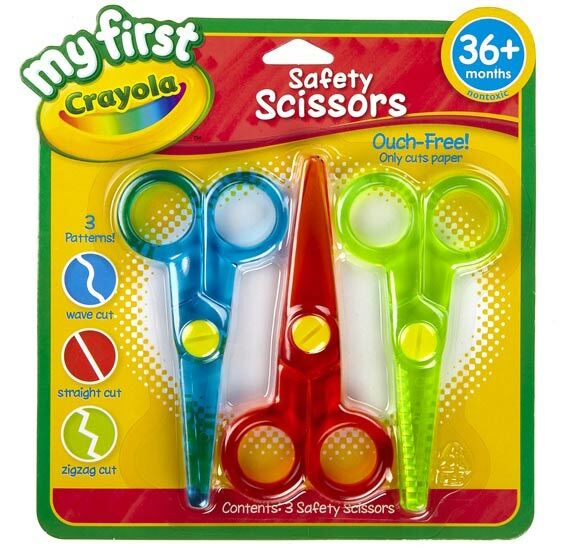 Parents can also thank the crew at Crayola for their clever hair-cut defying My First Crayola Safety Scissors! Scissor development requires practice and these scissors are a fantastic tool to start with, brightly coloured and comfortable they cut only paper and not super fine (and hard to grow) baby hair. 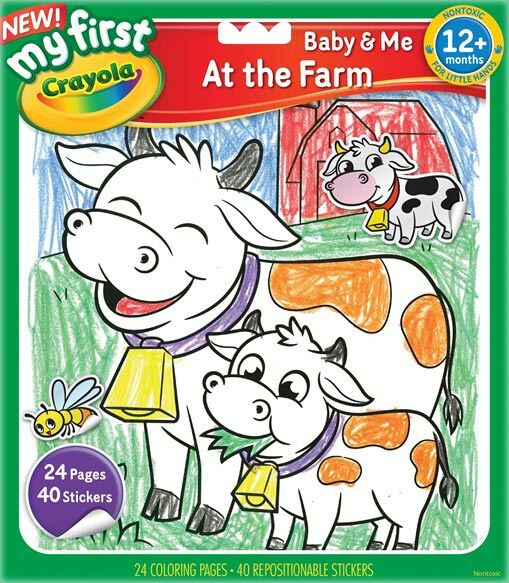 I’m yet to meet a child that doesn’t love to stick stickers, thankfully My First Crayola Colour and Sticker books has two creative outlets covered – imaginative sticker placement and working on their colouring skill. Each book includes twenty-four pages to colour and forty stickers, ensuring hours of fun for children aged twelve months and older. Crayola for as long as I can remember have always created fantastic caddies to house all your prized Crayola loot and I’m ecstatic that this now extends to the My First Crayola range also. 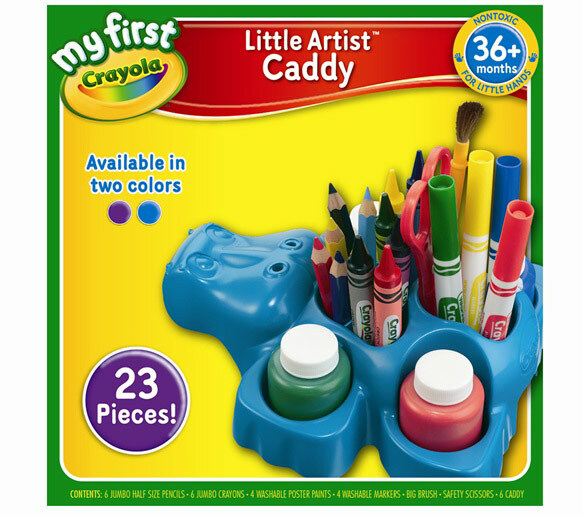 The My First Little Artist Caddy is a hippopotamus shaped caddy that includes all the basic tools (pencils, markers, paint and scissors) a toddler requires to get busy and not to mention, it makes a fabulous gift. 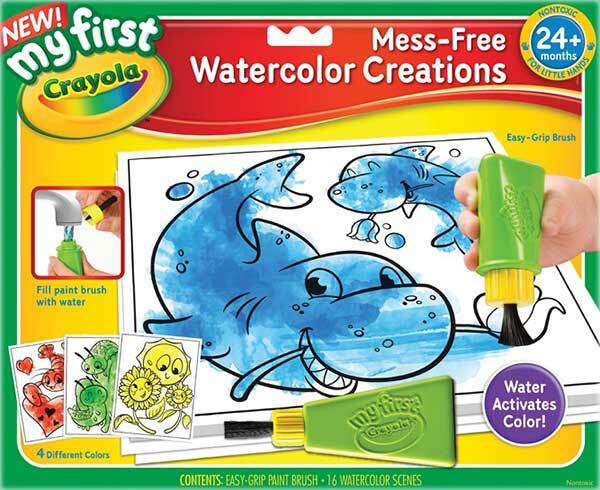 Nurture your child’s creativity further with clever products like the My First Crayola Mess Free Watercolour Creations, where a painting session is without the epic cleanup. There’s no wrestling with paint pots, easels or the like – it all comes down to the handy water bottle brush (filled with water straight from the tap) and little people discovering what magical picture is to be revealed when they brush over it. Children adore seeing their work proudly displayed and why wouldn’t you want to embrace those first rainbow coloured scribbles or interesting family portrait for all to see? 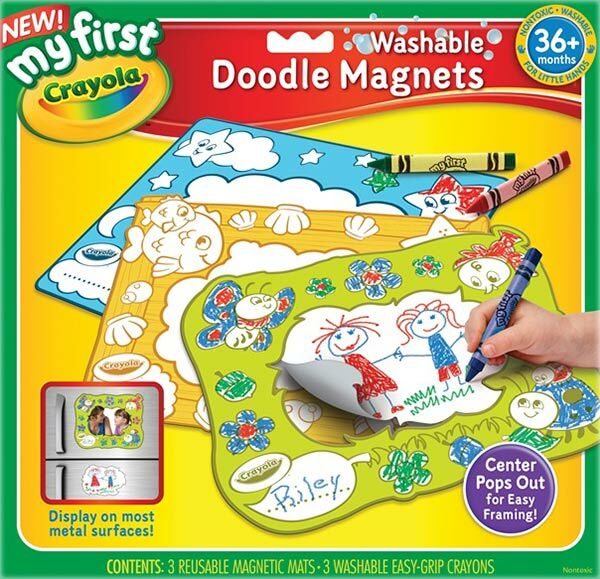 Safely frame and display your mini Picasso’s work on the kitchen fridge with My First Crayola Doodle Magnets. 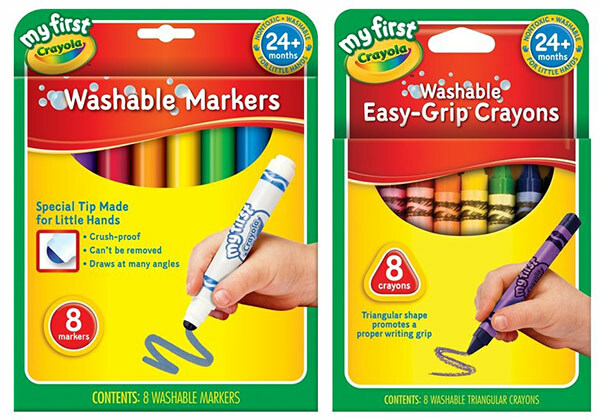 Better yet, children can even add their very own decorative touch to the magnetic frames with washable crayon! There are many, many more My First Crayola products available and you’ll find them easily at Big W, Kmart, Target, Myer, Toys ‘R Us, Officeworks and Spotlight. We’d love to hear what your first Crayola experience was and how you plan to spread the Crayola love to your own children!